If you are in the market to upgrade your old Set Top Box, then there are some hybrid options available for you. Companies like Airtel, YupTV and more have announced Android-based Set Top Boxes to help you get the best of streaming services and live TV in one device. With the growth of internet access, content consumption habits are changing. We no longer rely on the 9PM Friday night premieres of movies or tune in Wednesday nights to catch our favourite TV show episodes. Streaming content over the internet and watching your favourite movies and TV shows at your own convenience has changed the way we consume content. Some may argue that this is leading to the death of the traditional method of content consumption via linear TV and while that may be the case, it is a debate for another day. Today we will talk about the options available for those of you that want the best of both worlds, traditional TV channels along with streaming services. 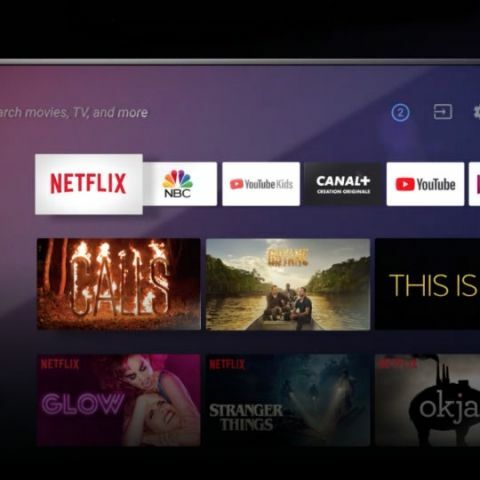 The simplest way to make this happen is keep your good old Set Top Box and invest in a device like a Fire TV Stick or a Chromecast or any of the dozen Android-based boxes available for your TV. However, that isn’t the story for today. Today we will talk about Set Top Boxes that will deliver the best of both worlds – traditional linear TV viewing experiences along with streaming capabilities. The Play Box from Hathway comes with a remote control that will house a dedicated YouTube and Netflix button. The OTT (Over The Top) Set Top Box is based on Google’s Android TV. Users will also be able to use Google Assistant enabled voice controls on the box. There is a Google Assistant button on the remote control to bring up the Assistant. The box also comes with built-in Chromecast capabilities allowing you to cast content from your smartphone to the TV. The Hathway Play Box will also allow users to experience Android gaming similar to what we have seen on Google’s Chromecast devices. The Play Box is priced at Rs 2,999. Apart from the Play Box, Hathway has has the Cable Hybrid box, the Hathway Ultra Smart HUB based on Android. According to Hathway, “This Smart Hub combines linear TV with Play services in HDR quality.” With the Hybrid box, users will be able to navigate between linear TV channels and streaming services like Netflix, Amazon Prime Video, Hotstar, Voot, Sony Liv and more. Users will also have access to the Play Store to download apps. On the remote control there are shortcuts to access YouTube and the Google Play Store. You can read more about the Hathway hybrid Set Top Box here. Launched in 2017, the Airtel Internet TV box supports 4K content with added support for Dolby Atmos. It is a Hybrid DTH set top box which is powered by Android TV. The box offers over 500 satellite TV channels alongside online content from Netflix, YouTube, Airtel Movies and more. Users will also have access to Google Play Music, Play Games as well as apps from the Google Play store. The box also supports built-in Chromecast. This is of course in addition to traditional TV channels. The Airtel Internet TV is priced at Rs 5,000 and users also need to pick their base plan, which is an added cost. You can read more about the Airtel Internet TV box here. YuppTV just recently launched its Android-based Hybrid Set Top Box that supports OTT as well as traditional DVB-C and IPTV. Like the above mentioned solutions, the YuppTV Android based hybrid Set Top Box brings with it access to the Google Play Store giving you the ability to download streaming apps like Netflix and more, along with the ability to consume linear television when you want. You can read more about the YuppTV Android hybrid Set Top Box here.